Meditation is good for us. There is an unending stream of research and data showing a regular meditation practice works wonders for our minds, bodies, and souls. Meditation can help with everything from reducing stress to increasing your self-awareness. However, one thing that is often overlooked – especially by beginners – is the correct posture. Finding the best meditation cushion for you can help lift the pelvis and straighten the spine, leading to a comfortable and mindful meditation experience. What is the difference between a meditation cushion, meditation chair and meditation bench? 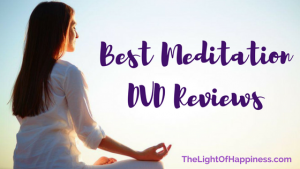 Crystal Cove Meditation Cushion by Brentwood Home Review: Coming in a beautiful patterned designed, this certified organic cotton cushion, wins the title of best meditation cushion of 2019. Filled with 100% natural buckwheat hulls, this Crystal Cover Meditation Cushion proves itself to be sturdy and durable. By molding to your seat, you get personalized comfort at an affordable price. With dimensions of 18” x 13” x 6”, this cushion is wider than most on the market, fitting every body type. It was designed by renowned yoga instructor, Angela Kukhahn, to bring just enough height and support to your meditation practice. The exterior is a soft, stretch-knit cover, which is easily removable and washable. On the inside, natural buckwheat hulls create a base that adjusts to your body, providing you a comfortable extended seating experience. Peace Yoga Zafu Meditation Buckwheat Filled Crescent Cotton Bolster Pillow Cushion by Peace Yoga Review: For those with back pain, a regular, round, meditation cushion, may not provide adequate relief. Luckily, peace yoga have released a crescent-shaped cushion to provide a different seated experience. With the pelvis elevated at a tilt, there is more room in the hips, and pressure is taken off the back. This cushion comes in a variety of colors and designs, meaning it can also double as a cushion for you furniture. It features a “soft grab-and-go” handle for easy carrying to all your meditation destinations. Reviews state it is one of the most supportive cushions on the market, and the best meditation cushion for back pain. What’s more, Peace Yoga Zafu Buckwheat Filled Crescent Cushion is a highly eco-friendly cushion, filled with natural buckwheat hulls providing the perfect balance between firm and pliable. Peace Yoga Zafu Meditation Buckwheat Filled Cotton Bolster Pillow Cushion by Peace Yoga Review: You can be sure that this is the best Zafu Meditation Cushion on the market. Coming in several different designs and colors, there is one to suit every personality. This beautiful cushion is so diverse it can be used as a decorative item as well as a hip saving meditation companion. Choose from two sizes to suit your body shape; 13” x 13”, or 16” x 16”. Using this cushion will give you a comfortable boost up from the hard floor, removing stress from your joints, and completely support your spinal column. Due to the buckwheat filling, the cushion is the perfect balance between plum and firm. The buckwheat hulls are encased inside a separate pouch, which can be easily removed from the inside of the cushion cover, making a simple and easy washing experience. Yoga Meditation Seat Cushions by D&D Futon Furniture Review: This two piece set is the best meditation cushion set on the market. Although D&D Futon Yoga Meditation Seat Cushion may not be as well know as some of the other options, the cushion is comfortable, durable, and light. Most cushions on the market are filled with buckwheat, this one however, is filled with cotton, making it much softer and easier to transport. One of the cushions is Zafu (the smaller cushion), and the other is Zabuton (the cushioned mat underneath). Meditating with two cushions instead of one, creates a more comfortable environment for the back, hips, and knees. The Zabuton cushion underneath will prevent tired or worn knees from resting against the hard floor. It is also useful in a yoga practice as a cushion for the joints, or a pillow in savasana. Cotton Zabuton Meditation Cushion by YogaAccessories Review: A Zabuton meditation cushion is longer and flatter than its Zafu counterpart. It was traditionally used as a floor cushion, to provide padding beneath the body in meditation. This dense, flat pillow, measures 36” x 28” x 3”, making it big enough for everybody. Choose from six different colors, and use both as a meditation cushion, and as a yoga prop. The cushion is filled with 100% organic cotton, and packed densely enough to provide firm support. The versatility of Zabuton Meditation Cushion means it is also the perfect yoga partner. It can be used as a support in shoulder stand, and even folded in half to be used like a bolster. The extra thickness of this mat also means it can support bodies of all shapes, ages, and sizes. Large Indian Meditation Floor Pillow by Krati Exports Review: This meditation cushion offers a vibrant, colorful, and artistic seat for meditation. It is large and claims to be made of high-quality material. However, the ‘floor pillow’ is actually just a pillow cover. What’s more, much of the critical feedback on Krati Exports Indian Meditation Floor Pillow, states that it is made from cheap material and a lot smaller than the pictures make out. The colors also look very different from the picture, leading to many dissatisfied customers. It seems as though the manufacturer deliberately tries to mislead the buyer into believing they are buying a cushion. To avoid disappointment, opt for one of the real cushions above, as this is surely the worst meditation cushion on the market. Buckwheat Hull Filled Meditation Cushion by Seat of Your Soul Review: At first, this cushion looks excellent. It seems as though it is one of the best meditation cushion on the market. However, you should actually avoid Buckwheat Hull Filled Meditation Cushion. Many of the reviews claim this cushion arrived infested with bugs. Some reviews stated the bugs were inside the cushion, whilst others found bugs both in the cushion and in the packaging. It seems that a shipment in mid-2017, where one of the local farmers failed to irradiate the buckwheat hulls, led to a widespread bug infestation in the cushions. Although Seat of Your Soul state they have since sorted the problem, it is best to avoid this meditation cushion if you don’t want any tiny visitors being shipped to your home. When buying a meditation cushion, it is important to consider these three factors; how you will be using the cushion, if you have any injuries or back pain, and where you will store it. The best thing about meditation cushions (apart from being a way to comfortably align with your higher self) is that they can double up as beautiful decorative furnishings just like the best meditation benches. Picking a cushion that compliments the feng shui of your living space is almost as important as the function of the pillow itself. Use of Cushion: Choosing your cushion mostly depends on how and when you will be using it. Are you buying in bulk for a studio, or perhaps just for the comfort of your own home? It is important to consider the weight of the cushion, and if you will be traveling to retreats or studios. If you regularly practice yoga, it may be beneficial to get a cushion that can also double up as a yoga prop. Past Injuries or Pain: If you have old injuries or pain in your joints or back, the type of cushion you choose will need to support you and aid recovery. Make sure you choose a comfortable seat that molds to your body. If you have weak knee joints, consider buying both a Zafu and a Zabuton cushion, to protect your knees from the hard floor. Crescent-shaped cushions are the best for lower back and hip pain, whereas round cushions are useful for helping to lengthen the whole spine. Remember that if you feel pain in meditation, stopping and finding a position that is comfortable does not compromise your meditation in any way. Sitting for too long in incorrect alignment will prevent recovery from old injuries and can also cause new ones. Your Meditation Space: Although it may seem trivial to some, the structure and organization of your living (and meditation) space, is crucial for our outlook and internal health. When choosing a meditation cushion you should also bring some awareness to the space it will be in. Make sure the style and energy of the cushion fit the space. Take time researching the seller, see if their morals align with yours, and if you resonate with their design. Meditation can provide profound and important experiences and changes in our perception. Being seated on a secure cushion that supports you and grounds you is extremely important. Although they serve a similar purpose, meditation benches, cushions, and chairs, are very different pieces of meditative equipment. Choosing the correct piece entirely depends on you hips, knees, and overall flexibility. The less flexibility you have in your hips, the higher you will want to be seated. If this is you, opt for a meditation bench, or chair. If you are able to sit comfortably cross-legged, but need extra cushioning or support for your spine, you will find a meditation cushion the most useful. A meditation bench gives you the highest elevation off the floor. You can sit on it like a normal chair, or if you have longer legs, you can sit crossed legged. A meditation chair acts as the mid point between the height of the bench and the height of the cushion. If you have tight hips you can sit on the edge with your legs crossed. A meditation cushion is a soft pillow that elevates you just a few inches away from the floor. Use any of these pieces (or a combination!) to find your ideal meditation spot, free from discomfort and pain. Finding the best meditation cushion for you may take some time. However, once you have, you will be in for a far more comfortable meditative experience. Cushioned against the hard floor, with extra space in your hips, and more freedom in your spine, your mind will be free to open further, pushing beyond the usual perimeters of your perspective. With the right meditation cushion, you will sit for longer, improving your concentration, and achieving your meditative goals.